ANNE MORGAN’S WAR tells the little-known story of how one American woman became an exemplary force in the recovery of Northern France’s World War I wartime devastation, and highlights the legacy of a woman in the vanguard of feminism and humanitarian action. Ms. Morgan has been identified by French Morning as the no. 1 women who has marked Franco-American History (click here for full article). From 1917 to 1924 a team of some 350 women, appalled by news of wartime destruction, left comfortable lives at home to volunteer in the devastated regions of France. Their dynamic leader was Anne Morgan (1873-1952), the wealthy daughter of the late financier Pierpont Morgan. As she rallied potential volunteers and donors on speaking tours across the United States, Morgan harnessed the power of documentary photography and moving pictures to instigate a humanitarian response to the devastation of war. She told her American women volunteers they needed to speak French, know how to drive a car and be prepared to travel to a warzone. Morgan and her troop of volunteers based themselves at the ruins of Chateau de Blerancourt in Picardy, France to help rebuild the region and bring aid to the few French civilians still living there. 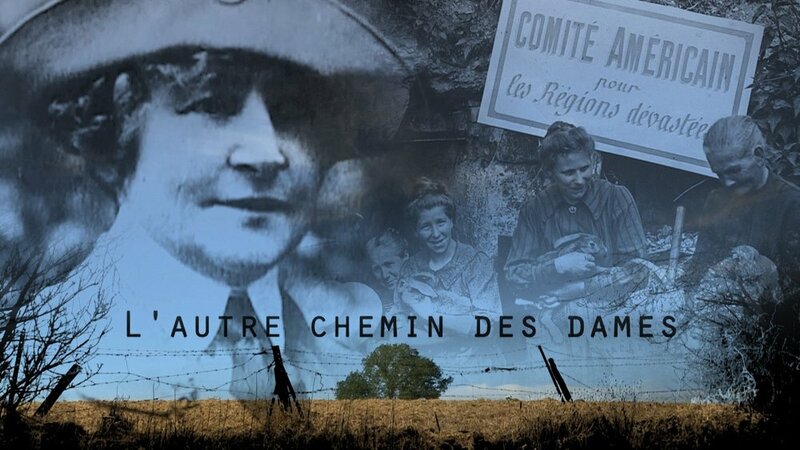 The film premiered in France in May of 2018 and is being released for broadcast in the United States with the assistance of the American Friends of Blerancourt. The documentary will make its United States premiere on public television stations during Women’s History Month in March 2019. The program will be presented by South Carolina ETV via American Public Television (click here for list of dates, times and channels).